Succeeding to the previous community of the rather rough but solidary borough of Cadenet in the Luberon, a variegated new world has taken place, where individuals, social categories and mental universes coexist in the same spot without any interrelation and bereaved of any common future. 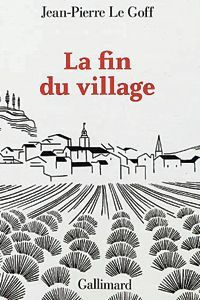 Jean-Pierre Le Goff's book "The end of the village" investigates the mythical image of the village that still dwells in our mind. As a witness of one of the biggest mutations in our history, the village is in fact the microcosm of the French uneasiness. In this article, we attempted to call in question and set into perspective, in the contemporary culture, this desenchanted conception of the village and the society. Lieux communs européens, points de suspension.